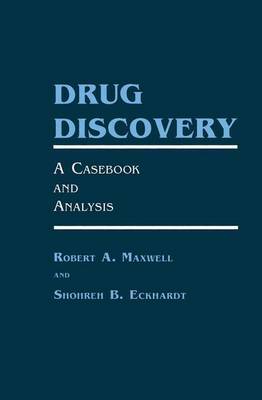 This treatise had its origins in the authors' strong opinion that the discovery of new drugs, especially of innovative therapeutic agents, really does not happen as a spontaneous sequel to investiga- tive research, no matter how penetrating such research may be. Rather, it seemed to us that the discovery of innovative therapeutic agents was a very active process, existing in and of itself, and demanding full attention-it was not simply a passive, dependent by-process of investigative research. And yet, many researchers- some close confreres of the authors, others more distant-believed otherwise. We felt that their view reflected unrealistic thinking and that reality probably lay closer to what Beyer" maintained: We are taught to believe that if we can understand a disease it should be easy enough to figure out, say, the molecular configuration of a definitive receptor mechanism somewhere along the line and to design a specific drug . . . . And so we start out to understand the disease but never get around to doing much about therapy. The authors very soon realized that there was essentially no quantitive information available on just where and how innovative therapeutic agents were discovered. There were only anecdotal accounts, and these were able to be selected and presented in ways that could be used to defend any point of view.